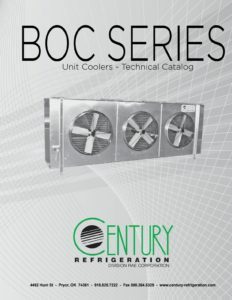 Century Refrigeration’s BOC Series unit coolers are designed for larger storages that require more capacity and longer air throw. These units have an approximate 170 foot air throw that can be increased with the use of optional “throw cones” which help to increase the distance the air can travel. 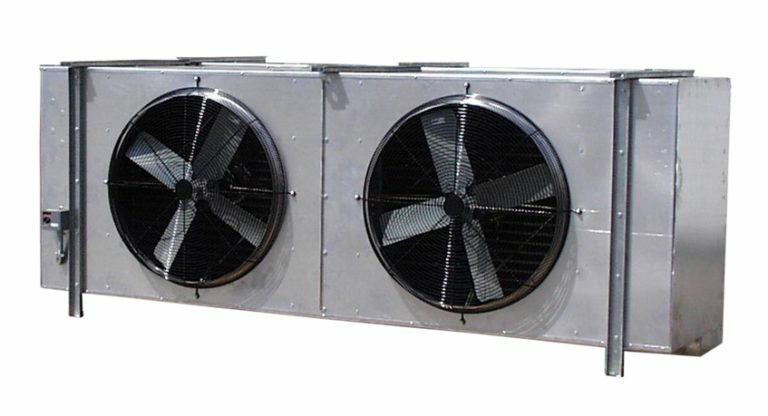 The units come in varying capacities by changing the fin spacing and the coil height. The smooth finish aluminum housing gives a nice appearance and is easily cleaned. The coil fin materials can be changed from aluminum to copper or coated fin as well as a variety of coatings for different applications.